How do you create a website wireframe? 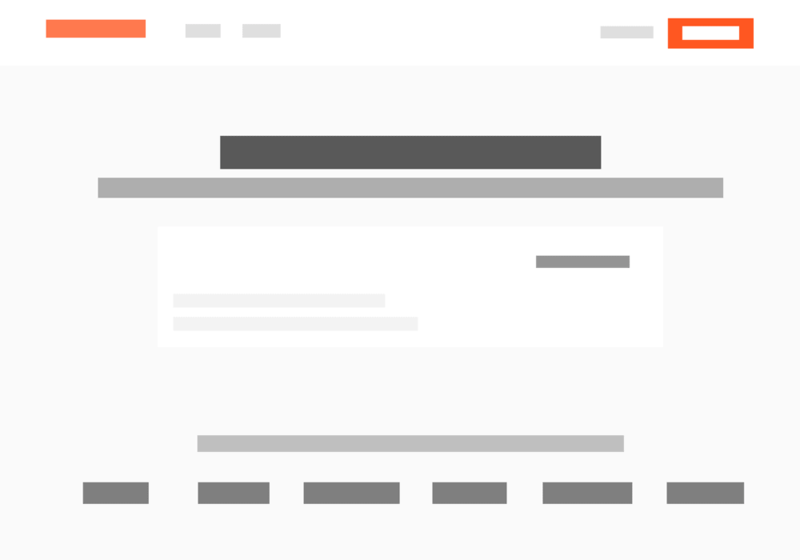 Do you need wireframes while designing websites for smaller clients? 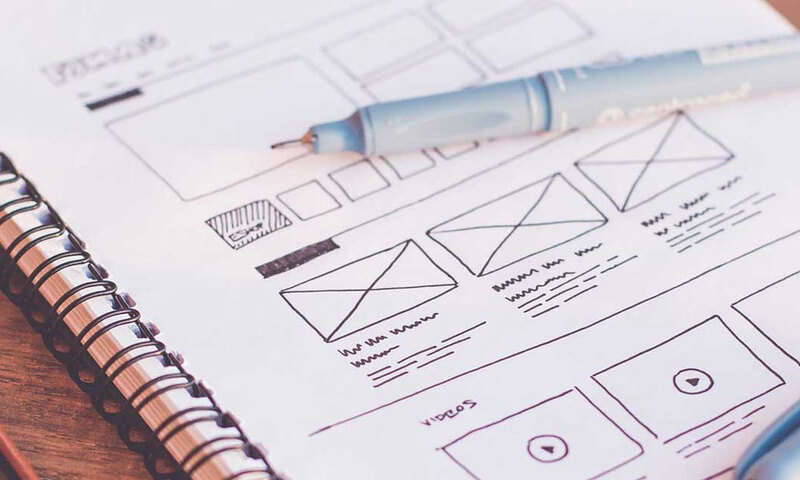 The primary objective of website wireframing is that everyone involved with the website design and development process understands the client’s vision. Before we start, It is imperative to understand why we are learning what we are learning. So let me ask you these simple questions. How do you decide how many components should be there in your navigation bar? How do you decide whether your web pages should use 4 column grids or 3 column grid? Where should the images be placed on a web page? How about the placement of videos? All these questions need to be answered before we begin the design. Yes, I do understand that for a basic website these things are often ignored. However, for multi-billion dollar companies like Amazon, Alibaba or Uber these things cannot be overlooked. In this article, we will learn how these decisions are made by online marketing giants like Google, Amazon, Alibaba, Uber etc. A wireframe is essentially the foundation on which the website design and development will be done. As there are multiple people involved in the creation of a website, wireframes ensure that everybody working on the site are on the same page. As the saying goes, the more you sweat in practice the, less you will bleed in the battle. That is why it is recommended to do brainstorming with all the concerned persons starting from the client coordinator, project managers, designers, developers and all those who are involved in the project during the wireframing and prototyping phase of web design. The time and cost of any minute changes during the development phase are much larger than what it takes for these brainstorming sessions. Always make changes during the wireframing phase. Whenever you are working for a prominent client or big company, there is a concept called wireframing that everyone follows. When beginners in web design move on to bigger companies in their career, they are often confronted with the concept of wireframing and are clueless. There are experts specialised in the wireframing aspect of the design, but most often they are not needed as this is something a web designer could do with a little training. Many times your project manager and developers sit together and brainstorm and come up with a good wireframe. So let me give you an introduction about wireframing in web design and what are the tools used for wireframing. 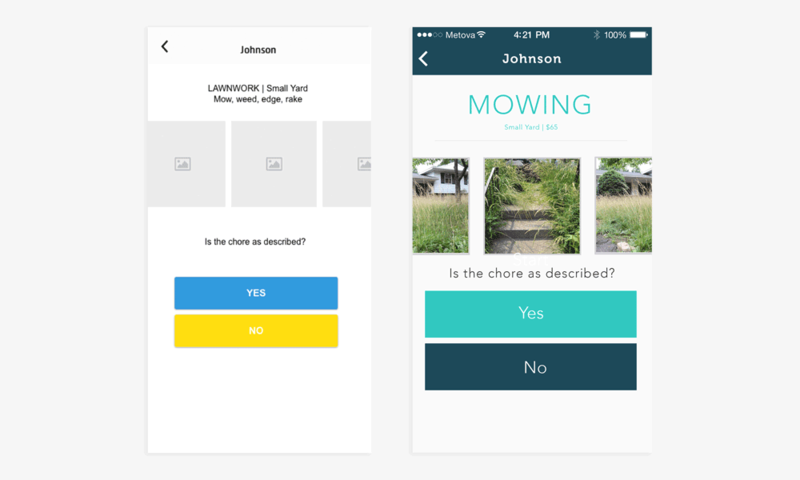 Website wireframing is merely an idea of how you want your data to be shown on the website. Here is a quick hint to identify a wireframe, if you see a simple design layout in just black and white that is a wireframe. In wireframing we are not worried about how our buttons are going to look, what colour we will choose, what images we use etc., it’s all about data, what kind of data we want the user to see at the very first page, known as primary data. What is the data that can be moved to the second page so that users clicks on something before seeing that data? These are all very controversial decisions, as everybody involved in the decision making will be having a different opinion often, which could be for the best outcome. In wireframing we do not use any images, videos or colours instead, we mock up the screen. Standard wireframe element to represent an image. To indicate the position of images in a website, we use an image with just a cross sign as shown in the above picture. Now the goal here is I want the image in this section and data at this section, what should be in our navigation bar and where should be our navigation bar. What should be the image and the content of data is not finalised in wire-framing. Wireframing has two stages, the Low fidelity wireframing and High Fidelity wireframing. Fidelity means how accurately the wireframe represents the final version of the design. 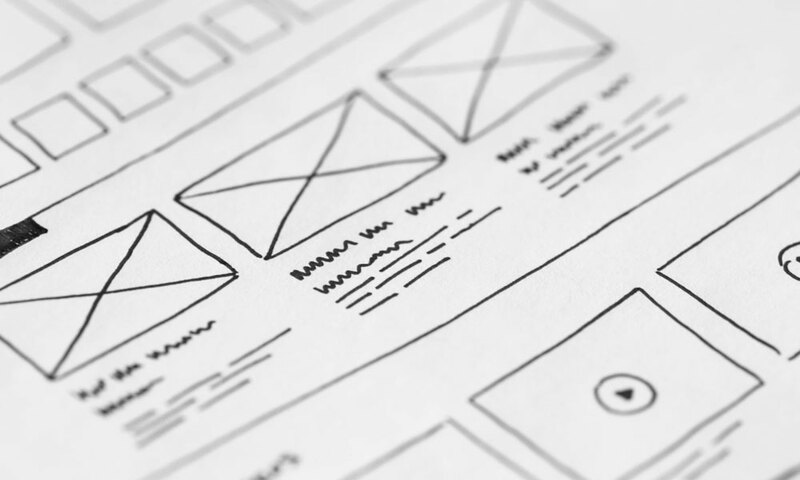 Low fidelity wireframing is the initial stage of wireframing and does not represent the final design, while high fidelity wireframes give a more accurate outlook on how the final design will be. The objective of low fidelity wireframing is to lay a basic structure of the website based on the vision of the client. In low fidelity mockups, you can start by picking up a pen and paper and start drawing. It’s far easier to change anything in the design phase. If you didn’t like any aspect of the design, you can throw out the paper and start drawing again. 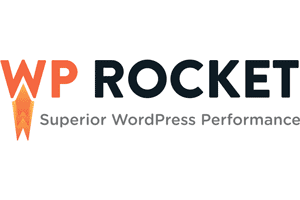 These low fidelity frameworks may sound time-consuming, but it saves a lot of time and money. Because it’s very costly and often requires much time to make even a small change during the development phase of your website. When all the people involved agree on the low fidelity wireframe, which is done on paper, we move on to the next stage of wireframing. 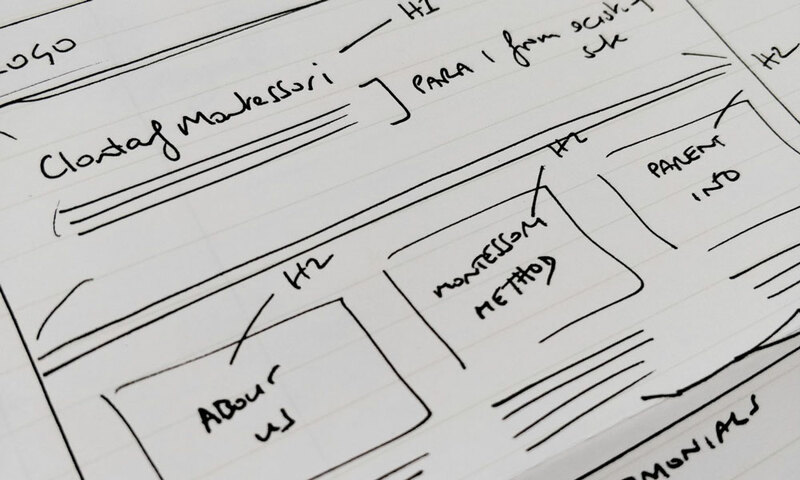 This initial stage of the wireframing using pen, paper and sharpies are called low fidelity mockups. High fidelity wireframes or mockups are done after everyone involved with the project agrees on a low fidelity framework after detailed discussions. High fidelity wireframes give a lot more detail to the designer by providing information about how real UI elements should look like in the final design. 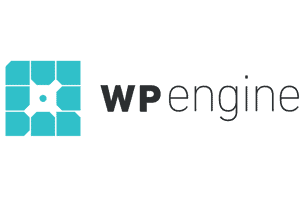 It is a lot easier to understand for the clients and developers. 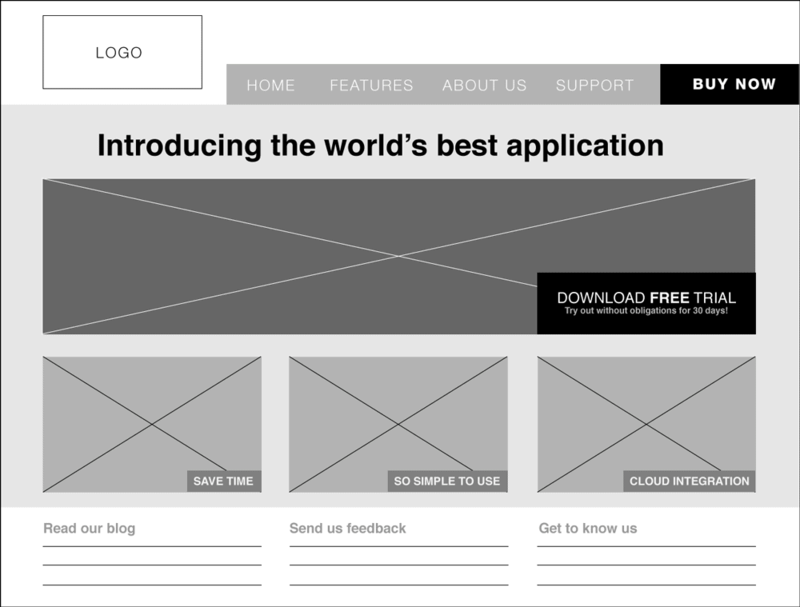 High fidelity wireframes may use logos and real content, button style etc. 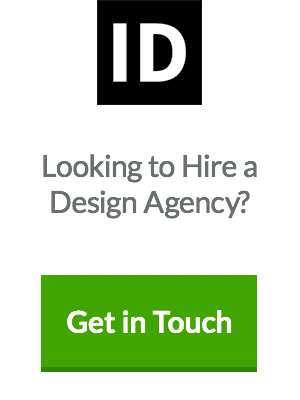 so that the designer completely understands the desired outcome. This part of website wireframing is done using wireframing tools. There is customised software with a lot of advanced features, just for doing the high fidelity wireframing. You can also use standard design software like Photoshop, illustrator or sketch for this purpose. High fidelity wireframes take comparatively a lot of time compared to the low fidelity wireframes and will increase the cost of web design services. It would help if you communicated with the client whether they need a high fidelity wireframe before starting the project. Website wireframes and prototypes of a website are completely different and serve a different purpose. Website prototype is a simple working model of a website created to test the efficiency of the site before the final output. A prototype will contain all interactive elements of the website trying to resemble the final product as much as possible. 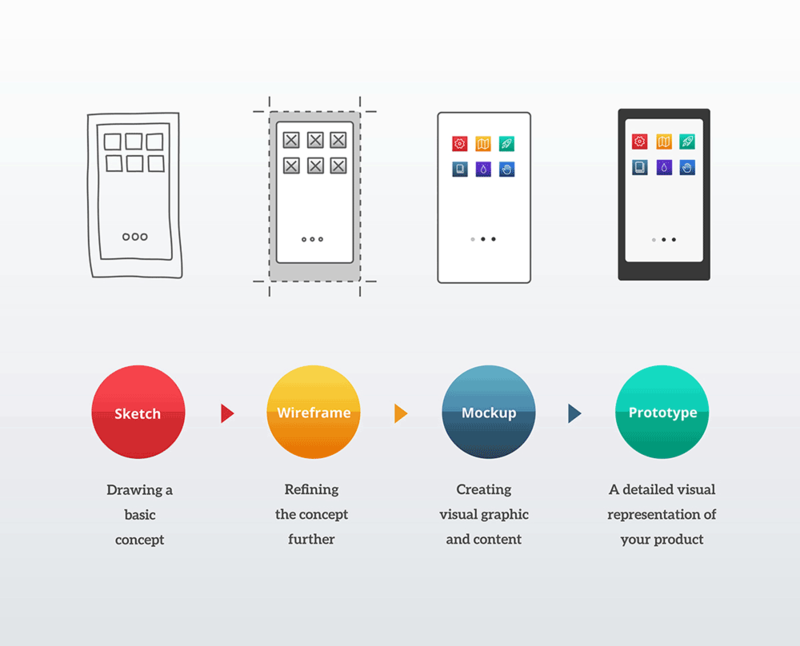 Prototypes help the UI/UX designers to examine the user interactions and to make changes that improve the usability of the website. This is a very basic website that will meet your needs for website wireframe designing. It is free, and the interface is straightforward to understand if you stick around for a while. The finished wireframe designs can be downloaded as pdf or can be directly shared using a link. Balsamiq is a convenient tool to create wireframes. 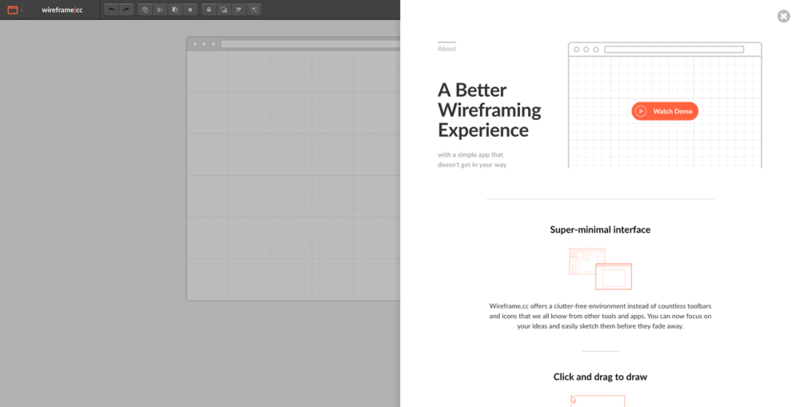 It’s drag and drop user interface makes it easy for web designers to create a wireframe. It saves time with a useful library full of pre-made components that are needed for a wireframe. If you are looking for a quick and easy tool for creating wireframes, Balsamiq is a good choice. However, if you are looking for software which can also help you with the user flow diagrams and do complex activities like preparing an interactive prototype, then it’s not your ideal choice. It is a paid software but saves much time for designers while doing the mockup. Sketch offers something more than Balsamiq, but these additional features are more useful for creating website prototypes more than website wireframes. 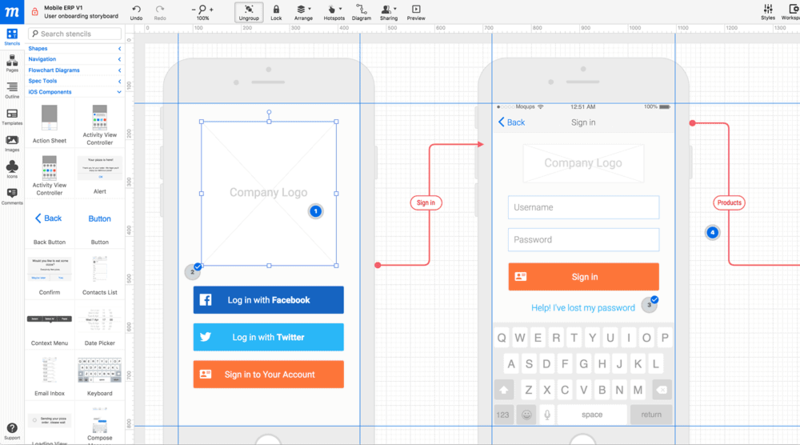 If you need a tool for wireframing, the additional features in sketch won’t be much use to you. Moqups is a very user-friendly web application for creating a website and mobile app wireframes and prototypes. A mockup is best if you need to focus more on the user flow and UI/UX aspects. This is another tool which offers more options than that is needed for website wireframing. Moqups gives you total control over your wireframes and prototypes such that you can quickly incorporate clients new suggestions to the UI/UX prototype. Companies like Uber, Amazon and Google develop their websites and apps with great perfection, and they can afford to invest more in wireframing and prototyping. But what if you are working for a mediocre client who barely knows what he wants on a website, then following this procedure will become a lot trickier than you expect. Doing wireframing and prototyping before a website design is going to increase the cost of web design services. Sometimes developers at a small web design company may skip this aspect of web designing. However, this is not a good practice, and you obviously will end up making a lot more changes during the development phase, when working for a client who does not have a clear picture about how his website should look like. You may even charge such clients for conceptualisation and wire-framing separately as they have no clear picture about what they want. 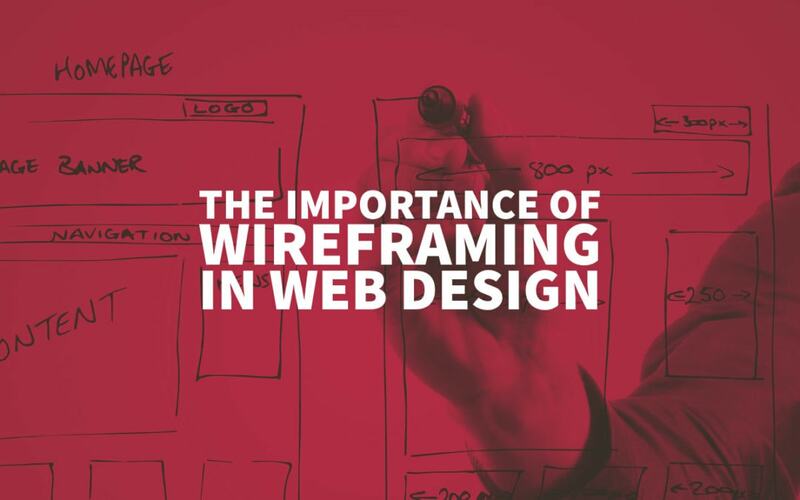 It is better to educate the clients about the importance of wireframing in web design and how it will help them to save cost and speed up the project. Time is money in this field, most designers are charged for an hourly rate, and you don’t want to partner with a client who does not have any idea about what they want, as there will surely be a lot of unpleasant experiences with such clients. 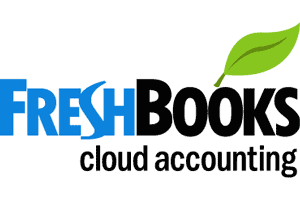 Author Bio: Pranoy Sundar is Digital Marketer in Global Media Insight, a Dubai web design agency. He is passionate about everything to do with digital marketing – from designing websites, creating content to online advertisements and SEO. I agree with your point that things become a lot more complicated as designer time wastes while charging higher for such aspects which client has bare understanding of reduces chances of client retention greatly but for sure a client which has good budget then all aspects can be considered. Most of the small and medium sized clients have budget constraints which make us optimize budget with their web design requirements. I’m totally done with wireframes for designing websites. I go right from hand sketch to mockup/prototype, then to final design. I use Elegant Themes site building app called Divi. While it does have wireframes functions, I avoid them as it just confuses clients and eats up valuable time.